This homeowner in Bakersfield, California was looking to update their kitchen. After meeting with a Sorci Construction professional they decided to do a full kitchen remodel. You can't even tell it is the same kitchen! This Commercial site needed a complete exterior remodel. They called the experts at Sorci construction for an estimate to change their drab appearance into one that would truly be memorable to those who see it. Our crew completed the remodel and you couldn't tell that it was the same building as before! This client wanted a closet update for a warm, rustic look that fit their own style. We came out and gave them an estimate that outlined just what they wanted. The remodel went through flawlessly and the homeowner couldn't be happier! Sara D. White Alder Dr.
James is a keeper. He represents Sorci Construction Services in a manner that others could learn from. James did an outstanding job-good explanations! "Thank you for your hard work and diligence for us." When you're looking to remodel your home in Kern County, CA, or nearby, Sorci Construction Services is the home improvement contractor you can rely on for the best quality workmanship, products, and customer service. 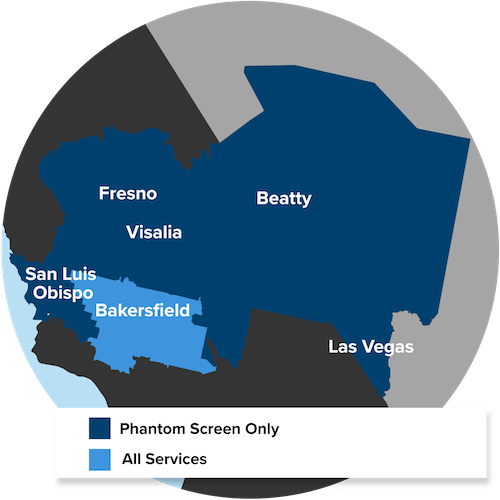 In business since 1987, we have helped thousands of Kern County, CA homeowners create their dream homes with kitchen remodeling, bathroom remodeling, additions, and more. We specialize in custom cabinets, specifically designed to fit your kitchen's layout and appearance, and our tub to shower conversions will give your bathroom a modern and luxurious new look. We also offer additions, flooring, painting, and any other home remodeling service you might need. Our replacement windows and replacement doors are guaranteed to add beauty and value to your home. We proudly offer Phantom retractable screens, the most innovate and highest quality retractable screen in the industry. These motorized retractable screens will maintain your beautiful view, stay low-maintenance, and increase your home's energy efficiency. Along with our interior remodeling services, we also offer exterior remodeling and hardscape services. If you need a deck, concrete patio, patio cover, outdoor kitchen, artificial turf, or any other hardscape feature, Sorci Construction Services has you covered! We can install a fire pit or walkway, and all of our hardscape installations are guaranteed to increase curb appeal. Sorci Construction Services is your best choice for kitchen remodeling, bathroom remodeling, window installation, door installation, Phantom retractable screens, decks and patios, and more in Kern, CA. Contact us today to get started on your home improvement project and get your free quote! Before vanity area remodeling in Bakersfield. Before photo of tub and vanity area.